Tricky Towers is a frantic physics-based multiplayer tower building game. With your brilliant robe and magic powers, it’s time to build some Tricky Towers! Stack your bricks to create a stable tower and try to topple those of your opponents. Cast magic to support your structure and fend off the dark spells of your rivals in this frantic physics party game. Play with up to 4 friends in local multiplayer or challenge players around the world in an online battle. Train your skills with the extensive single player trials and set a high score on the leaderboards. 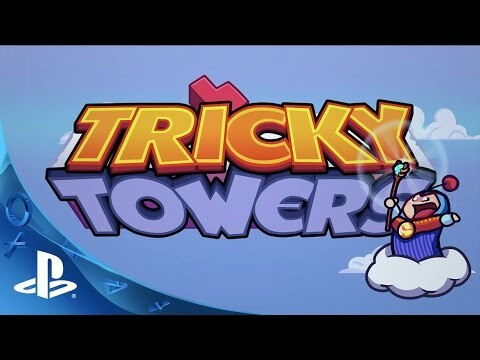 With spells flying everywhere and bricks tumbling down, Tricky Towers makes for a chaotically good time!